SweetRush’s winning project at the Muse Creative Awards is a custom and creative online course designed to improve sales skills. San Francisco, Calif., April 30, 2018. 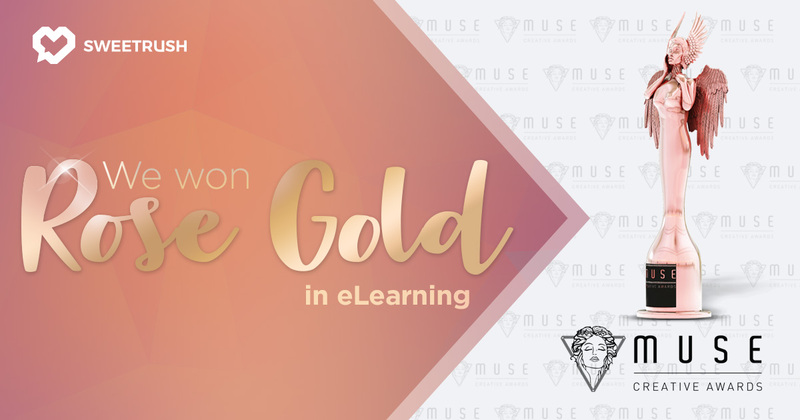 — The 2018 Muse Creative Award winners have been announced, and SweetRush has reason to celebrate after having been recognized with a Rose Gold Award in the Website eLearning category. SweetRush shares the honor with client-partner Bridgestone Americas. The judges stated that the winning program “represents the state of art in learning and development for eLearning, using storytelling, humor and 3D animation, and giving the learner an opportunity to practice critical skills.” The course—part of a comprehensive learning program—focuses on the knowledge and skills sellers need to recommend the best tire products and overcome customer objections. The full list of Muse Creative Awards winners can be found on the Muse website.